Digi-Schlock: LOST SOUL (Severin 3-Disc “House Of Pain” Edition) – Schlockmania! 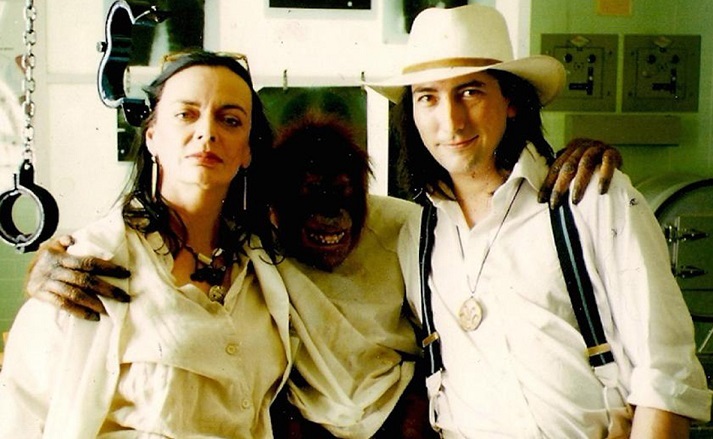 When David Gregory made his labor-of-love documentary Lost Soul, few were surprised when he ultimately decided to release it on his own home video label, Severin Films. However, you might be surprised by how deluxe he was willing to go with its blu-ray release. In addition to a standard single-disc edition, Severin has also released an impressive “House Of Pain” edition that adds a bonus DVD and a CD-ROM to the mix. The result is a truly lavish package that has plenty of room to cover all the interesting angles of its main feature in the extras. The transfer for the digitally-shot documentary looks great, with vivid colors and details in all the newly shot footage. The LPCM 2.0 audio is a simple but skillfully-mixed affair that keeps the array of voices involved clear and easy to follow. The blu-ray alone is packed with a special edition’s worth of extras. It begins with an array of bonus interview footage including Richard Stanley, actor Marco Hofschneider, assistant director James Sbardellati and an array of other crew members. It’s all worth a look for fans but the most substantive and satisfying inclusions are the Stanley and Hofschneider interviews. Stanley’s segment runs a whopping 47 minutes but is never dull: he goes into great detail on what his version of the film would have been like from several conceptual and technical angles and dishes more dirt on Brando, Kilmer and Frankenheimer (the venom on the latter is particularly potent). Hofschneider gets 16 minutes and it offers a really illuminating portrait of how Brando and Kilmer’s misbehavior led to other actors getting pushed out of the film. Hofschneider suffered the most in this respect and reveals with sardonic humor how his once major role was cut to a featured cameo, including some hilarious stories about Frankenheimer struggled with his mischievous lead actors. The viewer is also treated to an animated gallery of Graham Humphrey’s conceptual art. It runs 14 minutes with Stanley providing narration over the top that explains the thematic and narrative concepts that each drawing illustrates. A five minute interview with Barbara Steele allows her to explain her discarded role with dry wit. Even better is a vault interview from a promo junket with Frankenheimer. He struggles to put a brave face on the film’s negative advance publicity but his tense, cagey answers reveal just how desperate his situation was. A lighter extra is provided by “The Beast Of Morbido.” This fun 10-minute segment shows Stanley being made up as a ‘humanimal’ for a screening of Lost Soul at a festival by one of the Winston Studios makeup artists who worked on the film. He seems to be having the time of his life as he runs through the streets snarling and gives puckish answers at a Q&A, ev en doing a dramatic “Sayer Of The Law” recitation at the end. “Hunt For The Compound” spends six minutes on a picturesque return to the film’s Australian locations, which have been totally reclaimed by nature. Two extras close out the blu-ray. The first is “Boar Man Diaries,” which features one of the ‘humanimal’ cast members reading selections from a diary he kept during the film’s production. There’s plenty of amusing Kilmer-bashing and interesting stories of how the script and the backing cast’s roles changed from day to day based on the whims of Brando and Kilmer. The final blu-ray inclusion is the trailer for Lost Soul, a fast and flashy spot that gives a concise account of the film’s rise-and-fall narrative. Next up is a DVD with a trio of supplements. The biggest is the first: The Island Of The Lost is an unauthorized silent-film adaptation of The Island Of Dr. Moreau from Germany that runs just over an hour. This previously lost film was recently uncovered and the transfer here is pretty good for a salvage job, even including a silent film-style piano score. It’s an extremely loose adaptation of the novel that throws in a romantic triangle storyline and some dicey racial humor but it’s an interesting curio with some cool makeup designs for the creatures. Two segments round out the DVD. “H.G. Wells On Film” is a 19-minute interview with Sylvia Hardy, an expert on the author’s career. 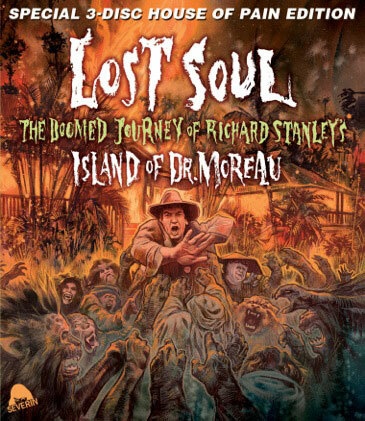 She gives a nice thumbnail history of his career and literary works and covers all of Moreau adaptations, including an extended and interesting exploration of Island Of Lost Souls. “Stanley on Wells” gives Stanley 16 minutes to expand on the topic and he gives a thoughtful and deeply felt analysis of Wells’ work and themes. He makes a great case for how provocative the ideas that drive Moreau remain and his ability to speak extemporaneously is astonishing – note the breathtaking final thoughts on the nature of humanity. The third disc is a CD-Rom that features Stanley doing a dramatic reading of the entire The Island Of Dr. Moreau novel. Stanley throws himself into the task and sells the narrative with passion, showing his devotion to the author’s work throughout. All in all, this triple-disc set is a must for any fan of director Richard Stanley or H.G. Wells, with a ton of extras that enhance the value of an already memorable documentary. Well worth the investment for the genre blu-ray collector. To read Schlockmania’s film review of Lost Soul, click here. 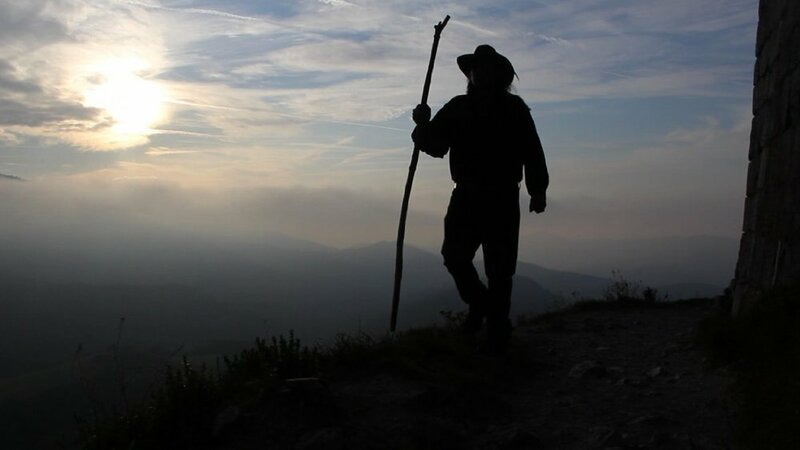 Lost Soul Trailer from Severin Films on Vimeo.